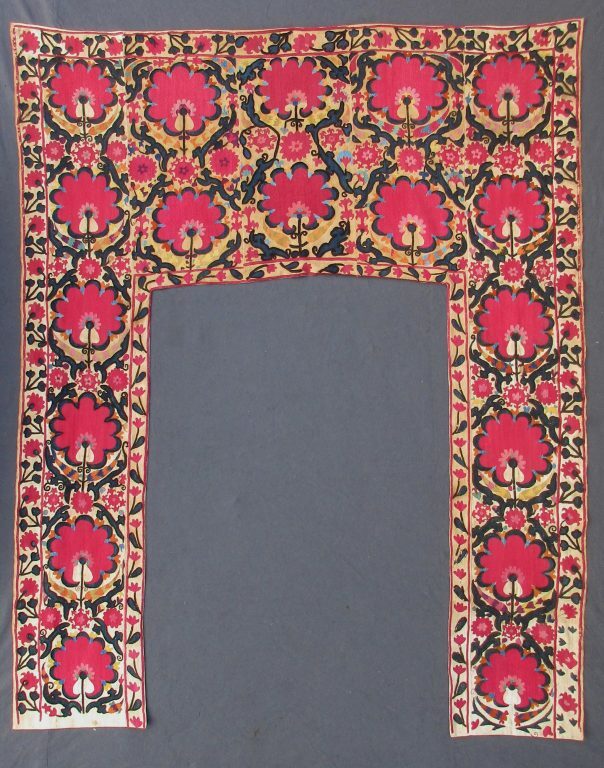 Bridal sheet (Ruijo), probably from the Ferghana Valley, Uzbekistan, 19th century. This particular form of Suzani had, in its original format, a plain cotton centre. The embroidery is worked in silk in a variety of stitches on five panels. The top end is particularly rich with its double row of large flowers on a stem, loosely connected by a vine that forms a grid around the flowers.